On Wednesday, Facebook Chief Executive Mark Zuckerberg announces that the No.1 social network of the moment will add one more spicy feature: Skype video chat. This confirms the increasingly tight collaboration with Microsoft Corp and leaves Google, its most biting competitor way back, Reuters reports. Facebook users will benefit from one more way of communicating with friends all over the word: the video chat, which will be provided through Skype. Mark Zuckerberg announced at the headquarters on the company in Palo Alto, that the cooperation between Facebook and Skype is possible due to the tight collaboration with Microsoft Corp. which is in the process of buying the service. 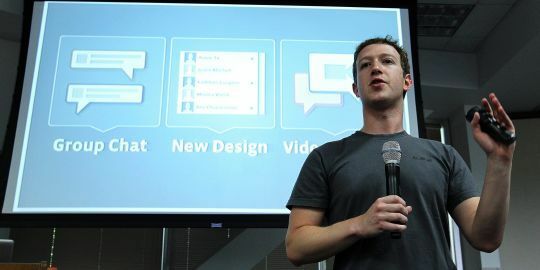 Zuckerberg announces Facebook has reached a record of 750 million users. Skype will be available starting Wednesday. Using the video chat service would generate a boost in the number of the clients of Skype, which are now about 145 millions. As the competition with Google intensifies and as companies like Groupon and Twitter are rapidly gaining more and more regular users, Facebook introduced a feature that would make its users spend more time online, accessing the applications and enjoying the time virtually spent with friends, without the need to use another website that would fulfill missing features of Facebook. Little by little, this social network becomes more complex and complete, making the users come back every day, many times a day and for longer periods of time. For now, Skype will provide the possibility of video calls between two people, but Zuckerberg said that the plan is to make video conferences possible, where there will be more than two users participating. “We think this is awesome because we’re using the best technology that’s out there for doing video chat with the best social infrastructure that’s out there to create some really cool new scenarios,” he said. Later on Wednesday, Skype’s general manager Neil Stevens explained in a phone interview that the company will also introduce a for-pay service which will allow users to call landline and mobile phones. The Skype partnership comes as a response to Google’s latest release, the social networking service called Google +.